﻿ SS Karthikeya To Marry In That City! SS Karthikeya To Marry In That City! 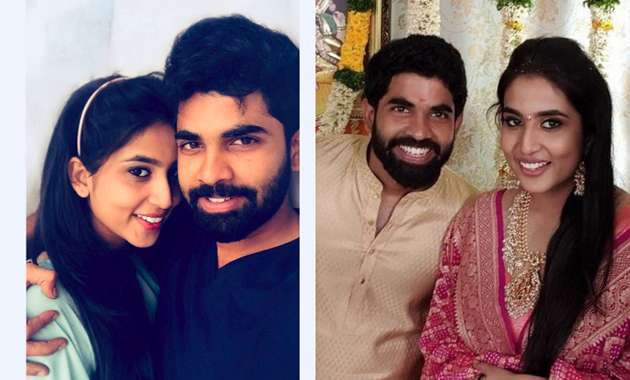 Ace Filmmaker SS Rajamouli's Son Karthikeya is all set to tie the nuptial knot with his longtime girlfriend Pooja who happens to be the niece of Jagapathi Babu. Wedding Ceremony is scheduled to happen on December 30th, 2018. Destination Wedding has been preferred by both the families. Jaipur is the city preferred by the bride & groom to make their marriage very special. Engagement Ceremony of SS Karthikeya and Pooja was held in a low key manner in Hyderabad. Even the wedding will be a private affair. Only both families & close friends would take part in the occasion. A lavish wedding reception is planned on January 5th for the who's who in the Indian Film Industry & other prominent personalities. Both the families are currently busy with the elaborate arrangements planned. Is TFI Showing The Door For Puri, Vinayak And Srinu Vaitla? Varun Tej Becomes The New Market Favorite!